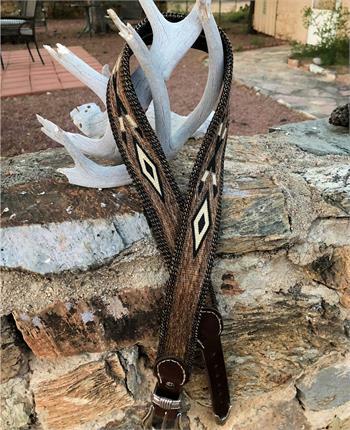 Welcome to western antiques and collectibles where quality vintage knifes, authentic old west conchos, antique cowboy leather goods, vintage saddles, old black powder rifles and many other items will be offered for sale as they come into stock at Cochise Leather Company. The exceptional craftsmanship from the past makes these vintage collectables stand out from the items of today. Most of these items are one of a kind and we may not be able to obtain another one like it. Collectables are items that can be used, put in a display or for home or office decor and make a perfect gift for anyone. We present only quality items that have withstood the test of time, but remember these are authentic items that were used and as such may have some wear. 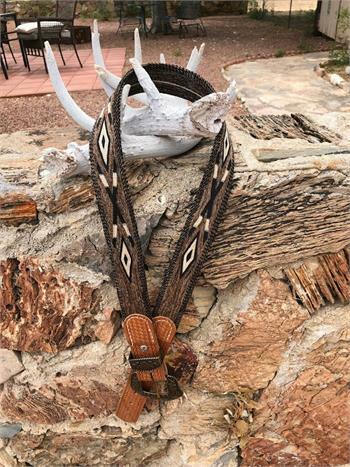 Cochise Leather is proud to add these quality items to their wide variety of custom handmade leather goods. If you need more information or have any questions about these authentic antiques and collectibles from the old west feel free to contact us! Please call 520-269-2542 or email for questions or more information before ordering our products. Ordering for this section of the website is via the telephone at the above number. Brown hitched horsehair belt. Dark brown billets. One-of-a-kind. Handmade in USA. Cream colored horsehair belt is handmade in USA. Diamond design. Length 40 inches. 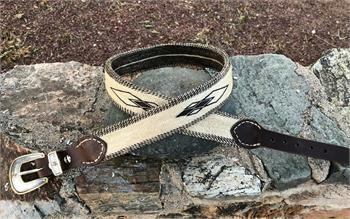 Hitched horsehair 40 inch belt is one of a kind. Handmade in the USA by Cochise Leather. 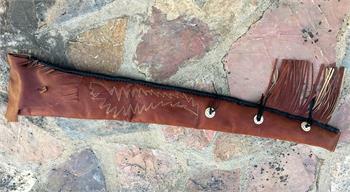 Vintage sheepskin lined rifle sleeve. Hand laced bottom edge, hand stitched design, bleed knots, fringe, fold over flap with leather button. Still in the box this animated motorcycle collectible is in excellent condition. Makes a great gift! Collectible working telephone is miniature Harley Davidson motorcycle. Receiver is the seat and tank with dial buttons. Antique late 1800's leather holster stamped with George Lawrence Company, Portland, Oregon, USA. Sass specification .44 Colt caliber ammunition. Brand new, made in the USA. Sharps 52 Antique Bullet Mold in excellent condition. Great addition to any collection. Sharps 50 antique bullet mold. Fully functional, in excellent condition. Double cavity antique 44 bullet mold. Excellent condition, use or add to collection. 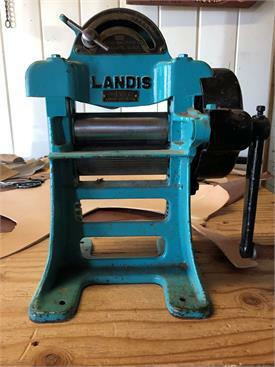 Landis Splitter is in excellent condition. Box of 50 Smokeless Powder 38 Special Center Fire Cartridges. 1800's Antique Powder Horn. Hand carved with woman, flowering vine and rooster. Well made and in excellent condition. Sheffield Bowie Knife made by Wade & Boucher in good condition with the markings indicating maker and Firth's Stainless. 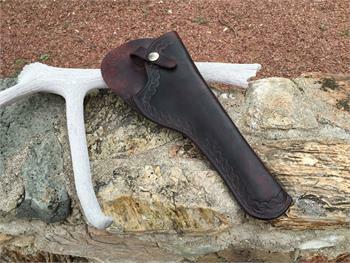 Comes with custom made knife sheath.